Why was Bill Gates so successful? In answering this question, different biographers have emphasized different traits. Stephen Manes, in his excellent 1994 book, Gates, underscores the Microsoft founder’s fierce (sometimes bordering on sociopathic) competitive instincts. In his 2008 bestseller, Outliers, Malcolm Gladwell points out the exceptional circumstances that provided teenage Gates near unlimited access to computers on which to hone programming skills on the eve of the personal computer revolution. I was particularly struck, however, by a quintessential Gatesian trait highlighted in Walter Isaacson’s new book, The Innovators. One trait that differentiated [Gates and Allen] was focus. Allen’s mind would flit between many ideas and passions, but Gates was a serial obsessor. Hard Drive is another great book about Gates and Microsoft. Wow what a great read. I want to read a few of these book myself. I’m a competitive athlete and focus is the main factor. This helps me to explore my own focus. I would love to read more of these blog posts. I believe focus is what I can do to improve my athletic performance. Another thought is that Bill Gates used his focus to achieve all that he has in his life. Look out for survivor bias. Lots of monomaniacs are probably in the ditch. Very good point. As Hamming pointed out, you need to work on the right problem with the right tools at the right time. If you obsess on a bad problem, you lose. Also, the correct solution to the wrong problem is useless. that is true for taking broader problem into approach. But for a small task or programming obsessive focus is very important. You can’t avoid taking the “broader problem” into account. 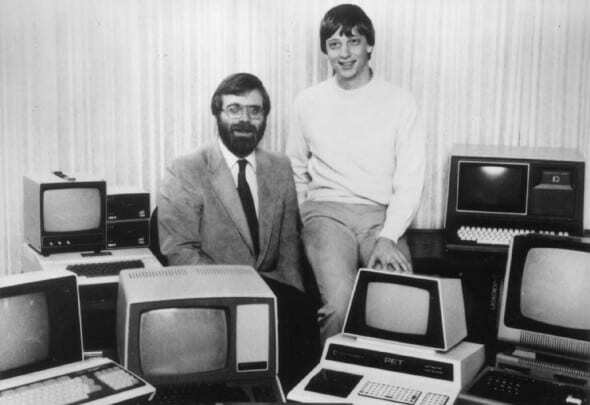 Gates worked on a basic interpreter which was wildly successful, because it was on the cutting edge at the time. A very successful implementation of the same today would be nothing but a toy for the implementer. Obsessing on the wrong project (even for programming or small tasks) doesn’t get you anywhere. True, but if you obsessively focus on a program that correctly solves a problem that nobody has, then your software won’t be successful, because nobody will care about it, no matter how obsessively it was coded. Good discussion below. Something to add to it is the notion that Gates bet on lots of losing horses in the early days of Microsoft as well. His intensity and focus helped him redirect as needed, again and again, and when an opportunity arose, he attacked it, etc. Hamming made a great point about this, too. “Know when to drop a bad problem”. Obviously, Gates knew when to drop a bad problem and when he had to stick to it. As Hamming pointed out, this is a very difficult thing to know. He thought that Einstein wasted half of his life working on a GUT, Grand Unified Theory. In Hamming’s view, this was a bad problem, because it would not yield to the methods at disposal in Einstein’s time, and it’s still doubtful that this is a good problem today. He thought this was tragic because Einstein did so many good things in the first half of his life and was so ingenious. However, this demonstrates two things: Obsession is part of success, but it also presents a dangerous trap when misapplied to a bad problem. At least this is the view I choose to take on this matter. Adding to the intriguing discussion above (“His intensity and focus helped him redirect as needed, again and again…”), the iconic physicist Richard Feynman comes to mind as being peerless in–and what will probably go down in history–as having the best built-in BS-detector, ever, in a scientific thinker. Check out on philosophynow.org an intriguing essay (Richard_Feynman_Accidental_Philosopher) for that thread. Looking forward to listening to this book! Bill Gates was/is also notorious for never responding to emails, even on crucial matters that only required a few minutes of his attention. It’s no surprise that those on the receiving end of this regarded it as one of his flaws as an executive, but to me it’s just the other side of the obsessiveness coin. The flip side of obsession is always neglect. Maybe I am getting this wrong, but are you saying that obsessive focus is a part of success? If so, then how do you explain Allen’s success? The quote says that he was the very opposite of being focused, still he is a billionaire. With all due respect to him as a co-founder, it seems like he is far less responsible for the meteoric rise of Microsoft the way Gates and Ballmer et al were. There are a few people other than Zuck who became billionaires off of Facebook, but Zuck was the one who actually had the vision and the ambition. So become friends with a Zuck or Gates and get in on their startups. It seems that anyone who achieves Gates’ level of success has a combination of all of those characteristics and resources: competitiveness, single-minded focus, and access to critical resources (mentors, collaborators, and an environment rich in essential tools). Also, was Allen’s relationship to Gates like most successful collaborations–Lennon and McCartney, Jobs and Woz–a pairing of opposites? ii) stick with one expertise (e.g. computing) for a long time? From Allen’s quote, I favour (i). If, Cal, you’re using this quote to support your view that one should stick with a single expertise, and not dabble, you would be committing a logical fallacy of ambiguity. In a recent interview with Jony Ive for Vanity Fair , Ive was asked about the lessons he learned from Steve Jobs. Bill Gates just followed his passions: computing and business. Today is the same, he follows his new passion: philanthropy. Following his passion was probably not easy for him and took a lot of effort and dedication. How does one develop this intense focus? That’s something I’ve never understood. Years ago, I read that Gates’ grandmother “played” very competitive games with him when he was a child. Since I can’t remember the source, this will have to be filed under hearsay, but the notion stuck with me that often when we are taught things at a very young age, whatever the skill it is can morph into a seeming passion / obsession when the child grows to an adult. All in all, I’d rather be the kind of person Allen is than Gates, although I greatly admire Gates’ turn to philanthropy in his retirement. As a returning first-year PhD student, my success is entirely driven by obsessive focus for a particular problem (a Gates-based approach). As I talk with other more post-docs/new professors, I learn that their success is entirely driven by ‘breakthrough’ ideas, often requiring expertise/ideas that are not directly within their formal training (an Allen-based approach). As a professor, have you noticed the same, Cal? Do you find that both of these approaches complement your work? PS – I’m also looking for a good way to organize my lit reviews. Do you have any recommendations regarding good open-source tools for archiving lit reviews? For your question on organizing your readings. I recommend that you try Zotero. It is a free and open-source reference management software. I find it user-friendly and very useful. I understand that it does take a lot of focus to establish something like Gates did, but what if you need balance on multiple things? and at that…excellence? I’m always curious about the people who achieve utter excellence in university and still are able to enjoy a diverse social life, exercise, a part time job. I wonder whats the trade off?